Portugal could give up the Embraer KC-390. The Chief of the Portuguese Air Force, General Manuel Rolo, said recently that the agreement with Embraer to buy the KC-390 aircraft could never be signed because the proposal submitted by the Brazilian aerospace company is too expensive. Rolo said that the Portuguese government does not want to spend more than € 830 million and if Embraer can not reach this amount, they will have to look at other aircraft such as the Airbus A400 or the Lockheed Martin C-130J. The planned budget for the project to acquire five strategic transport aircraft and a simulator in the bill to modernize the armed forces is € 827 million over 12 years. Rota said that negotiation "is not easy" and that Embraer "asks more than we can reasonably expect". However, he is confident that Embraer will do everything possible to meet the needs of the Portuguese government. 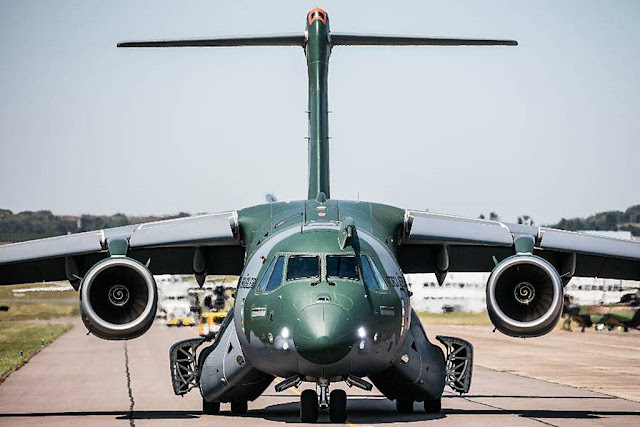 Portugal could become the first NATO country to purchase the KC-390 and this could bring major industrial benefits to Embraer as the possible entry into the program of other members of the Atlantic Alliance. He also said that he tested the aircraft and it is easy to pilot, this would simplify the training of pilots and the entry into service of the aircraft.